If you've decided to hire a DJ for your wedding reception, you might be tempted to think there's not much involved in the DJ decision process, and that all DJs are pretty much the same. But if you've ever been to a wedding reception where guests left early because the extended dance mix version of the 'Macarena' took up the first half hour, then you know that the right DJ is crucial to ensuring an enjoyable reception. The following tips can help you choose the best possible DJ for your wedding reception - and help ensure that your guests redeem their drink tickets instead of balling them up into earplugs! The ideal way to hunt for a DJ, or any service you require for your wedding, is to take an "inside-out" approach. Ask your circle of trusted friends and family first, to see if they can recommend any DJs. You might even be able to get a discount on a DJ's services if one of your friends or family members knows them personally. 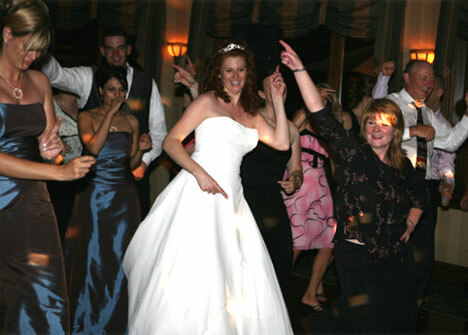 If your friends or family don't have any recommendations, check out our directory for a list of wedding DJs in Canada. Once you've gotten a reasonable quote from a DJ, be sure to also get their references. These may be verbal recommendations from people you know who have heard their work, or references from the DJs website. Make sure the references are for weddings, though - a DJ who really rocked the local Shriners dance or high school reunion might not necessarily make a wedding reception to remember. 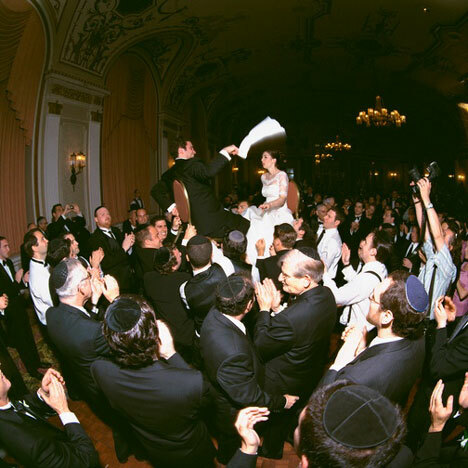 This includes both the couple's list of requested songs given before the wedding, as well as requests from the guests during the reception dance. If a DJ seems to have difficulty accommodating your advance requests, that could be an early indicator that the DJ isn't the right match for your wedding reception. If there are any songs you're absolutely sick of hearing at wedding receptions because they've been so played-out ('Old Time Rock and Roll' and 'YMCA', for example) mention those to your DJ. After all, the reception dance only lasts so long - it might as well be filled with only the best music that makes for the best memories possible! If the DJ seems to have some very definite ideas about the songs - or, even worse - the games they will play (i.e. they're insisting on playing 'Circle of Life' for the bride and groom dance, followed by a round of musical chairs), take that as a warning sign. Since you're paying for the DJ's services, you are fully entitled to make the decisions, regardless of what vision they may have for your wedding. In addition to spatial and audio visual requirements, some DJs might also ask that one of the reception meals be included with their payment. Whatever the backstage demands might be, be sure to confirm with the DJ in advance of the wedding day. You might think there's not much to a DJ set up - perhaps a turntable, a mic, and some speakers. But some DJs come fully-equipped with extras, such as disco balls, laser lights, fog machines, and other features that you may or may not want at your reception dance.